Dr Cassimatis is a Brisbane dentist who provides general dentistry, cosmetic dentistry and orthodontics including GlamSmile Porcelain Veneers, Fastbraces® and Teeth Whitening. 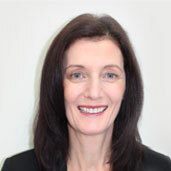 “I love my work and I have a great passion for dentistry. It allows me to work closely with people to improve their health, appearance and their lives. It is very rewarding and exciting. I believe life is better with a great smile and healthy teeth. I also believe in treating patients like I would treat my own family members and perform dentistry on them the way that I would want it performed on myself. 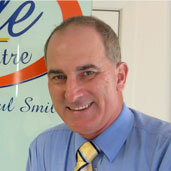 Dr Tony Cassimatis earned his dental degree from the University of Queensland and has been practicing dentistry since 1983. He opened his practice in Camp Hill in 1990 and has been in the same location since then. He absolutely loves where he lives and works and many of his patients have been with him from the start, referring friends and family members . Committed to continuing education so as to provide the highest level of excellence to his patients. I am very passionate about the smiles we create and very excited about the difference a new smile has on people’s lives. This is the reason I became a dentist and why after 30 years I still enjoy coming to work. In my spare time I enjoy spending time with my wife and three children. I also enjoy travelling, golf and painting. I hope that you enjoy our website and that you’ll call to arrange to visit us soon for a consultation or examination. We’re always here to answer your questions and address any concerns you might have about your dental health. Please feel free to email Dr. Cassimatis if you would like to know any further information.